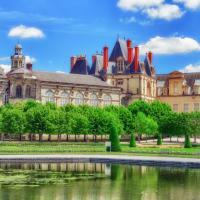 Discover the favourite residence of French royalty on a day trip to Fontainebleau with it’s impressive château, magical forest and charming neighbouring town which is loved by Parisians as a weekend getaway. With a local by your side, swap the bustling streets of Paris for a day exploring the stunning Château de Fontainebleau, a UNESCO World Heritage Site and discover the lavish history of the French royals who inhabited the castle for over 700 years. With over 100 acres of beautifully curated gardens, sprawling lawns dotted with fountains and magnificent parklands, as well as restored rooms like Marie Antoinette’s lavish Turkish boudoir, you’ll feel like royalty yourself as you explore. As well as visiting this beautiful castle, explore the town of Fontainebleau and indulge in its gastronomy, tasting its iconic cheese, patisserie and produce from its market before you walk it off strolling through the forest. 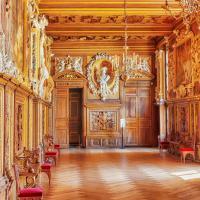 Explore the stunning Château de Fontainebleau, learning about its history and seeing its impressive Renaissance architecture. This castle is the only in the country to have been continuously inhabited by French royals for over 700 years, and was said to be the favourite of the royal family - even more than Versailles! See the perfectly refurbished rooms like like Marie Antoinette’s lavish Turkish boudoir and Napoleon’s theatre as you explore the château, seeing the influences and additions that each generation brought to the castle. Head outside and explore the stunning gardens and parklands; from vast courtyards, sprawling lawns, beautifully tended gardens and elaborate fountains. Once you’ve thoroughly explored the château, you’ll be ready for a bite to eat! Head to the town of Fontainebleau, where you can indulge in its famed culinary culture! Known for its open air market, which is said to be the best market in France as well as the fromagerie which makes the iconic Le Fontainebleau cheese, and a world famous patisserie, you’re spoiled for choice when it comes to choosing what to eat! Put together your own picnic from the market or enjoy lunch in a bistro recommended by your local. 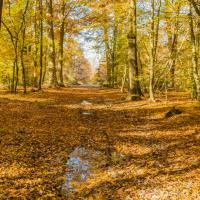 After you’ve refuelled, explore the charming town a little, perusing its chic perfume shops and boutiques before you enjoy a stroll through the forest to finish your trip. Your local will accompany you back to Paris after a day well spent! We had an unbelievable day with Myriam visiting Fontainebleau. It was one of the highlights of our visit to Paris. She met us at our hotel and helped us navigate the bus/train out to Fontainbleau. She walked us through the beautiful grounds of the estate and helped us get headsets for touring the chateau. She was friendly and conversational the entire time. Her English was fantastic since she studied in the USA for 4 years. We found talking with her very easy. Upon return to Paris, she helped us find a cafe we were looking for. We would highly recommend her to any travelers looking for a local guide to show them around. As an added bonus, she gave us a list of her favorite places to eat in Paris. The entire day was wonderful--you won't regret it. Such a beautiful place! And spending time with our Local Marie (who was excellent) made the experience all the better! Even though it was not in the city, she was able to tailor the experience to our needs and was friendly, kind and knowledgeable! Fantastic!